A 3 tiered cake with the Birthday boys favourite things for his 30th birthday. 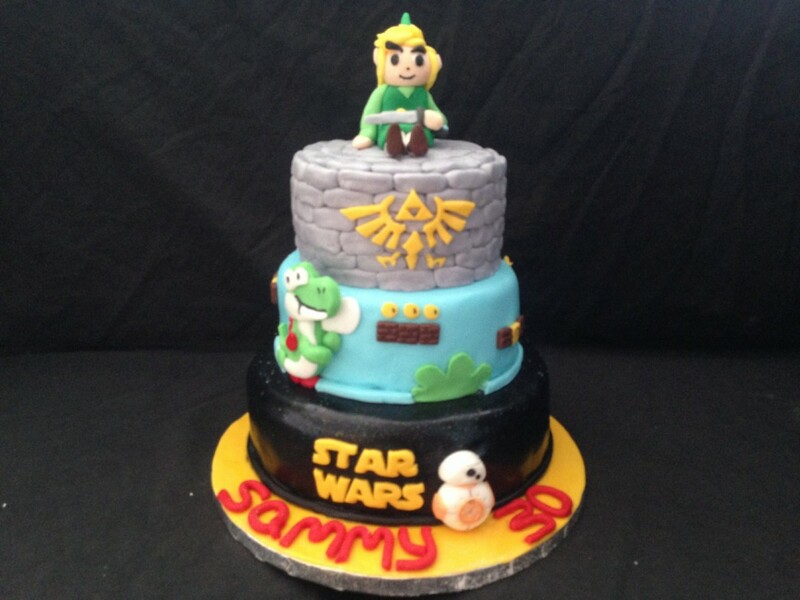 The bottom tier is star wars themed with a sparkly ‘starry’ black cake with the star wars logo middle tier is Mario themed with a Yoshi collecting the coins and the top tier is Zelda themed with a Links on tops and a triforce decoration. All cakes are different flavours including a multi coloured marble cake! Everything is made by me and completely edible!